يشكل فندق Rawnsley Park Station بموقعه الممتاز في قلب هذه المنطقة الرائعة كنقطة انطلاق ممتازة لاستكشاف المدينة. يمكن من هنا للضيوف الاستمتاع بسهولة الوصول إلى كل ما تقدمه هذه المدينة النابضة بالحياة. كما يمكن الوصول بسهولة إلى عدة معالم سياحية قريبة. إن Rawnsley Park Station حريص على توفير الراحة للنزلاء، فلا يوفر الموظفون جهداً في تقديم أفضل الخدمات وضمان حسن الاستقبال. إن متجر, متجر هدايا/تذكارات, مطبخ, مرافق مخصصة لذوي الاحتياجات الخاصة, تخزين الأمتعة هي جزء فقط من الخدمات التي تميز Rawnsley Park Station عن باقي الفنادق في المدينة. لقد جهزت هذه الإقامة الفندقية بعناية فائقة لتوفر مستوى عالي من الراحة. في بعض الغرف يجد النزيل تلفزيون بشاشة مسطحة, مسبح خاص, اتصال لاسلكي بشبكة الإنترنت (مجاني), غرف لغير المدخنين, مكيف هواء. كما أن مجموعة الخدمات الواسعة الموجودة في الفندق لضمان راحتك تترك لك الكثير من الخيارات لقضاء وقتك أثناء فترة إقامتك. استمتع بخدمات لا يعلى عليها وعنوان ذو اعتبار في Rawnsley Park Station . The staff were friendly and very helpful, offering maps and things to do and see. The cabin was nice and quiet with a very large balcony, a bed/sitting room with a good kitchen/dining area and a good sized separate bathroom. BBQs were provided near the cabins and they were exceptionally clean and worked wonderfully. There are walking trails within the park and a couple were very easy for older people but there are lookouts to drive to also. Wilpena Pound is virtually next door and that offers many more difficult trails to tackle. We loved our stay here! There are no bells and whistles however the cabin standard is very acceptable. It was very clean and equipment to prepare a basic meal was provided. We only stayed one night and enjoyed a meal at the marvellous restaurant on site. The location is good although not as spectacular as further into the Flinders Ranges. My only other comment is that signage to the shop in the caravan park was almost completely lacking and we spent some time stumbling around in the almost dark - we were not the only ones. We booked a stay at the eco village Rawnsley Park Station through Agoda when an add came up on Instagram . We were excited to see the eco village at such a good price. When we arrived the staff at Rawnsley Park said that we had not booked an eco villa and tried to give us a cabin, which we did not want. We have a photo of the advert for the eco villa but they did not care so we had to pay an extra $500 to stay in the accommodation we had booked. The misleading advertising was very distressing and spoiled our stay. We were trapped because we did not know how to get Agoda to reimburse the money that we had already paid to them. The shower door in the accommodation was broken but apart from that the accommodations were lovely. 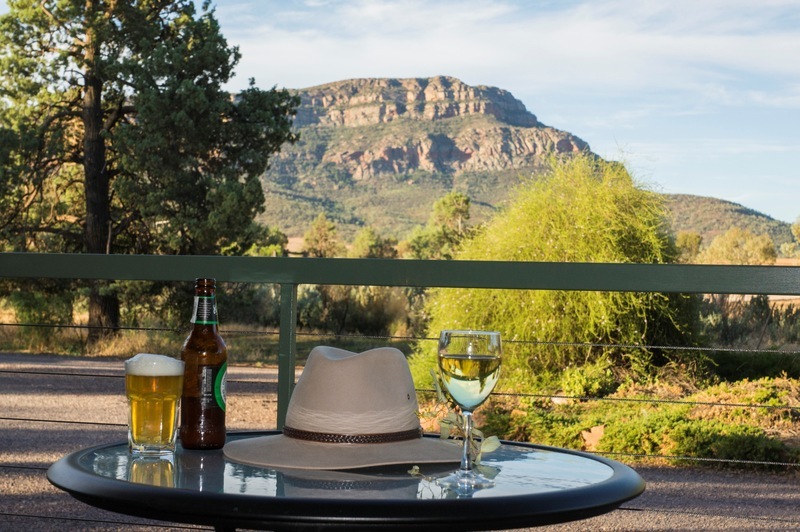 For first timers into the Flinders Ranges, Rawnsley Park offers a base that’s central to all points of interest and a choice of accommodation from tents to luxury eco villas. 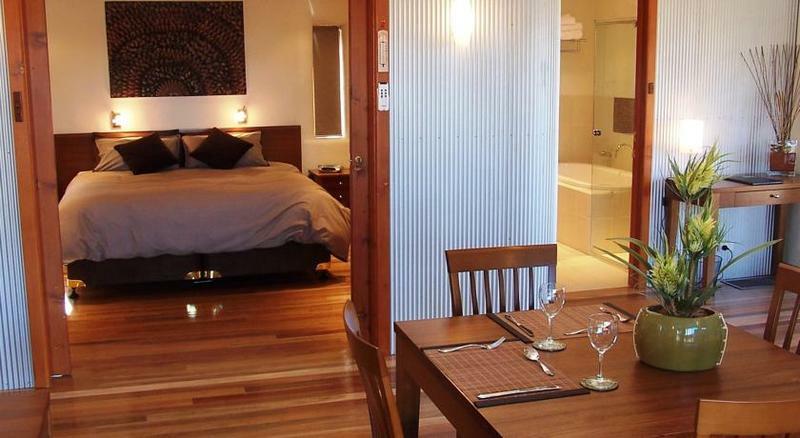 We were very comfortable in a clean, well appointed self catering cabin. The Park has helicopter and small aircraft scenic flights available, walking trails and lookouts and guided tours. The fact that it’s only minutes from Wilpena Pound is the icing on the cake! Absolutely disappointing. I booked online & paid $156 for a 2 bedroom cabin, we get there & because I didn't adjust the "people indicator" we're charged another $15 for my 4 year old daughter! And when asked why the lady said that's just the way it is. I couldn't believe it. So we're paying for accomodation as well as the number of people? Unfortunately we couldn't leave because it was non refundable & too late in the afternoon to look for other accomodation. So for $171 you get a 2 bedroom sub standard cabin from the 70's. The only thing that was almost up to date was the bathroom. Dormitary roller blinds didn't roll up, no light globe in the table lamp, the couch looked like it had been picked up off the side of the road & if you didn't keep it clean a sign in the kitchen threatens you with cleaning fees on top of accomodation charges & children charges. Food sent you broke, laundry was in a garden shed & staff were rude. Absolutely gutted I wasted my money here, NEVER AGAIN! We stayed 1 week in cabin 19, a two bedroom cabin, which is opposite barbecues and fire pit which a few surrounding cabins may share. Heater in the room was very good. It had a lovely kitchen with all you need. It had a nice modern bathroom but water temperature was difficult to set in the shower. The queen size bed was very comfortable. The cabin was serviced every second day. Tv and DVD player were good. Nice to have the balcony. The park is huge so lots to investigate. We enjoyed the many walks / hikes that are suggested in the park. You get great views with the morning and evening low sun of the surrounding mountain ranges. Behind the cabins is a hill you can climb to get Optus reception. You get 200mb free wifi when you arrive then you have the option of buying more. It was nice to be so close to wilpena pound (20km) and also the drives through the gorges are great. Ok, it was the weekend, but apparently there were no rangers available for all three days of my stay to take me out on trips and no scenic flights so I ended up using the facilities at Wilpena Pound. Plus the rangers didn't appear to know up to date info on closure of trails and roads due to the rain, but Wilpena did. I visited in the summer low season, but be warned, you may have to hunt out 4wd trips and flights elsewhere. That saying, the station is a great place to stay. Lots of space and great views. And the owner ferried me across a creek caused by flash floods when I arrived. Very exciting! Incredible view. Conformtable accomdation. Great service. Good food. The Eco Villa was spacious, comfortable and luxurious. Range views all around and a sky window over the bed was unexpected. Rains had the water tank overflowing and it was a bit special knowing that it had been constructed with walls of hay bails. A good base to walk, or 4WD in the Flinders. Cabins were tidy and had everything we needed for a short stay. We travelled with friends from England and were completely delighted with everything.There is a great restaurant, full of character and wonderful food. 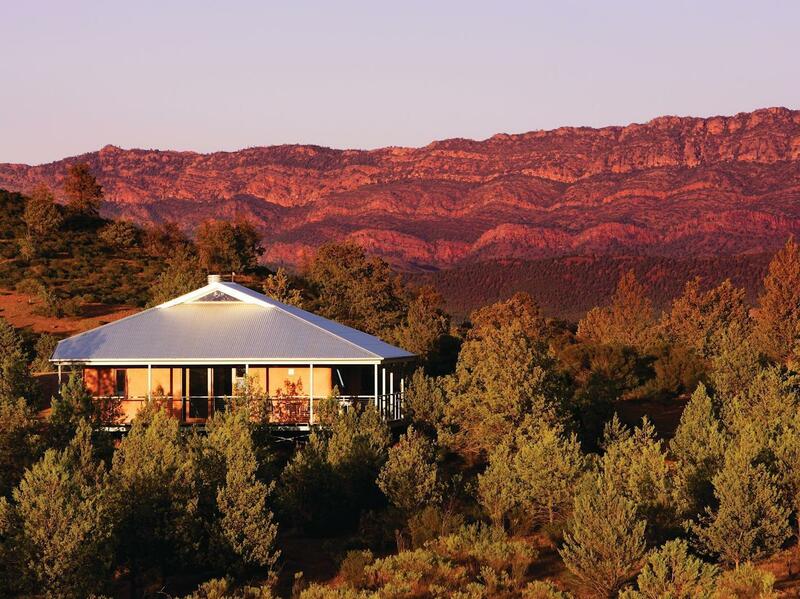 Great location for seeing the Flinders Ranges. 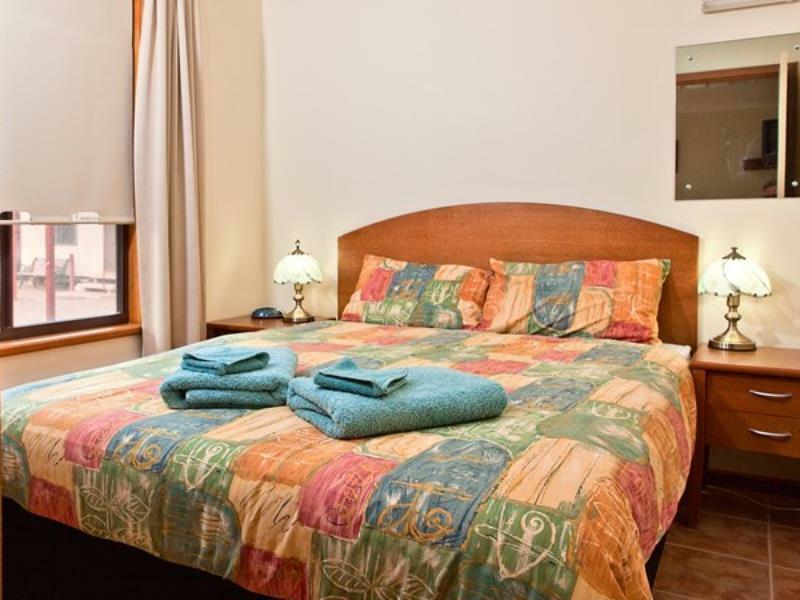 Rooms were very clean and great value for money. Will definitely recommend Rawnsley Park. It was beautiful! Loved everything! Ridgetop Tour was great also star,and galaxies and planet viewing. 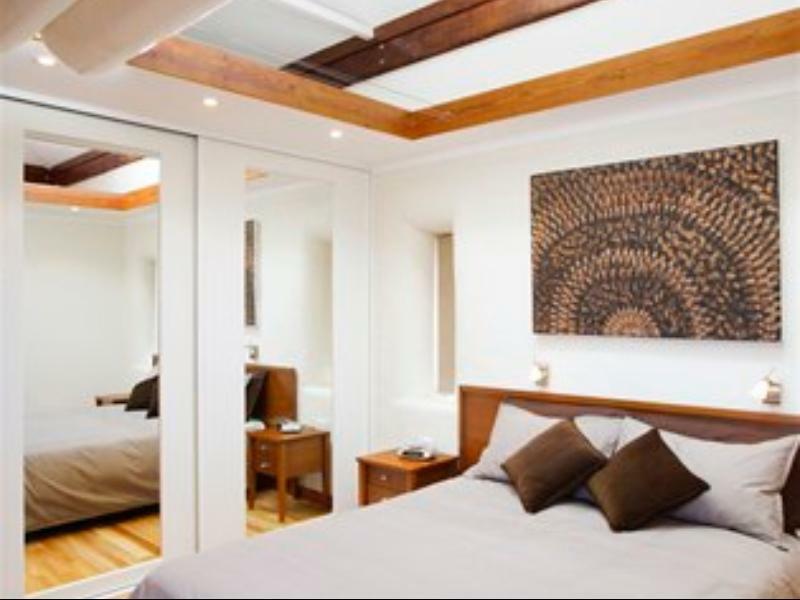 Really enjoyed cool comfortable luxury villa to return to each day after bushwalking in nearby flinders ranges.